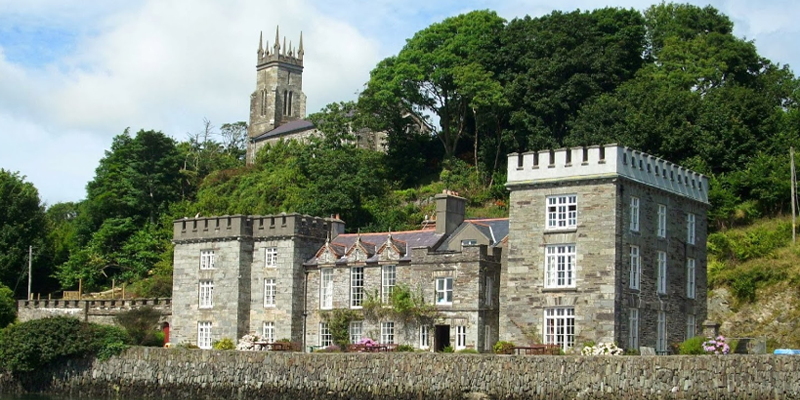 Castle Townshend has been the seat of the Townshend family in Ireland for many generations, the centre part being built around 1650. 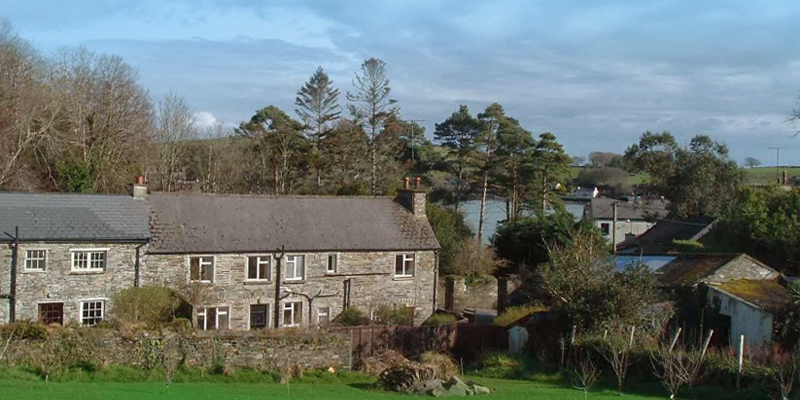 It stands in spacious grounds facing southeast, overlooking the peaceful waterfront of Castletownshend harbour. 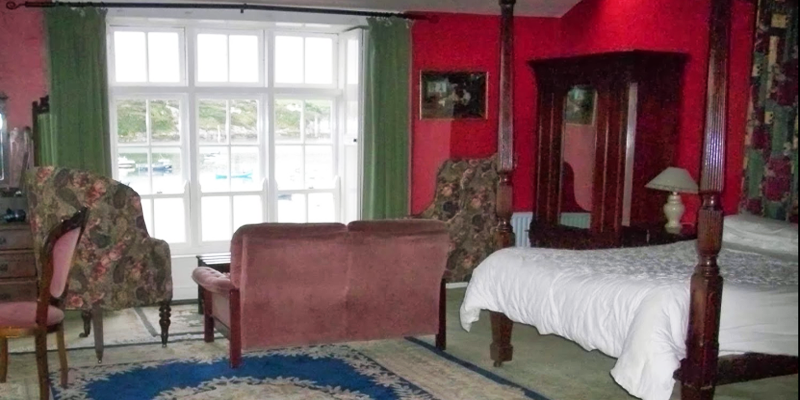 The ground floor hall/sitting room is oak panelled and the elegant dining room overlooks the waterfront. 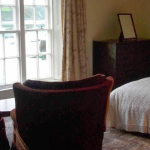 Both these rooms retain most of the original furniture and family portraits. 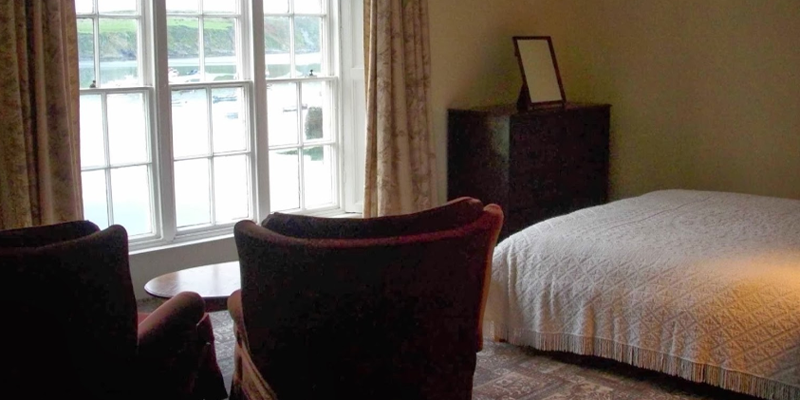 There are 7 guest bedrooms that are let out for bed and breakfast. 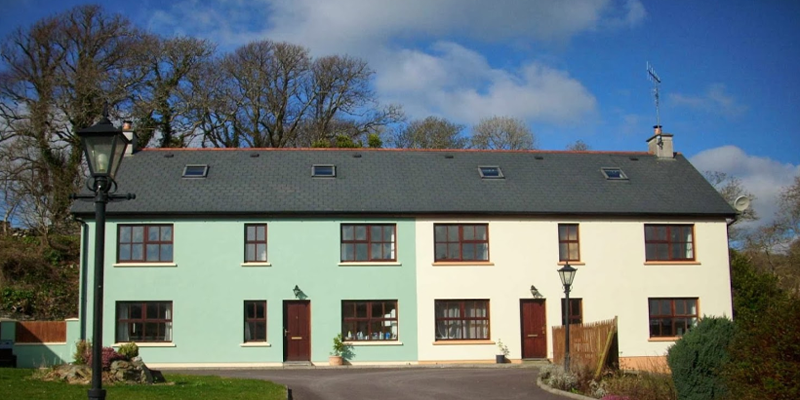 These are all En-suite with bathroom or shower room and most of them have lovely sea views. A truly unique place to stay. 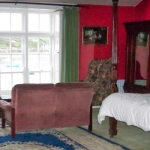 Chavenage, is a self-contained one bedroom slef-caterng flat in the Castle tower and is available as a holiday let. It sleeps a maximum of two, ideal for a romantic getaway. 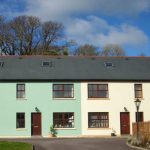 There are three terraced cottages: Annie’s Cottage (Sleeps 4), Mews Cottage (Sleeps 2), and Church Hill Cottage (Sleeps 5-6). The Castle Gardens is a five bedroom house set in the quiet courtyard. 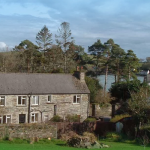 The village of Castletownshend is centred around the steep main road that leads down to the Castle, the quayside and the harbour. There are a number of pubs in the village, including the Egon Ronay listed pub and restaurant Mary Anne’s.